Octopus House Activity— Tonight, Chef Miker joins us to draw! 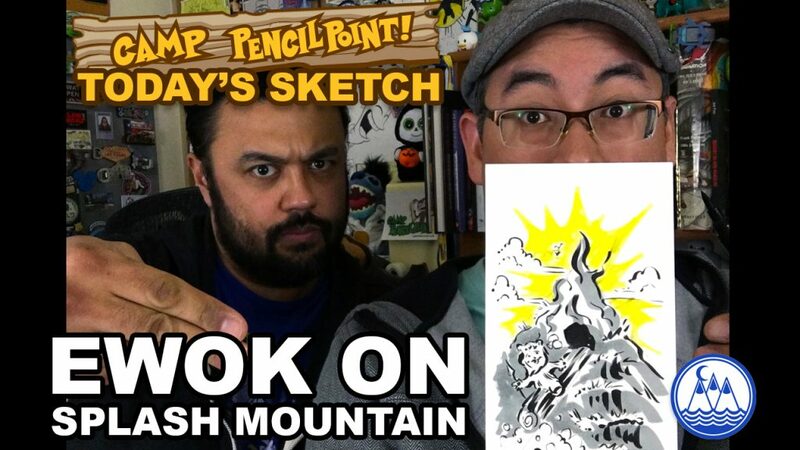 In tonight’s video, Joe Foo steps aside and let Camp PencilPoint artist Mike Roll take the brush and draw… an Ewok riding Splash Mountain. This video is an Octopus House Activity. It was designed to be more challenging for advanced artists, but also it also gives a chance for beginners to try something new. If we are drawing too fast, feel free to pause, rewind or rewatch the video! 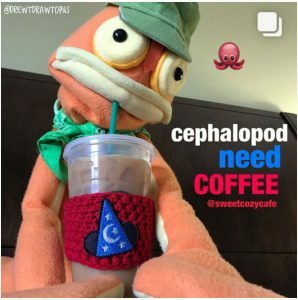 If you have any questions, post to the comments on the YouTube channel, or find Joe Foo, Chef Miker or Drew T Drawtopus on Instagram (links below). Let’s see what you can draw! Take a pic of your sketches of Ewoks on amusement park rides! Post your art to social media and use the hashtag #CAMPPENCILPOINT. The artists of Camp PencilPoint will keep an eye out for these!